Most users know that there are two types of media file formats - "lossy" and "lossless." Among most popular lossless formats stands WAV (Waveform Audio File Format), while #1 among lossy is good old MP3. I'm going to explain to you what these terms mean, the advantages of each one, give examples of both and say why you should never convert WAV to MP3. My aim is to be sure that when you've read this article, you must have a clear idea about these audio formats and their features. And your next step will be choosing the one which suits you better! What do "lossy" and "lossless" stand for? In a nutshell, all lossy files are called so because they lose some data after compression to make its size smaller. On the contrary, WAV file is a completely uncompressed media file and takes up quite a bit of space. ALAC and FLAC are both lossless formats of audio files that contain the same data as a WAV, but they use compression to produce smaller files. FLAC and ALAC formats don’t lose any data – they keep all of it and compress it brilliantly, as ZIP files do. They're still somewhat larger in size than MP3 files, though, which throw much data away. Creators of MP3 thought it'd be a very good idea to reduce files' size but at the cost of quality. The data thrown away can't be heard with mediocre speakers and headphones, but having a decent sound system makes a difference. WAV, on the other hand, has no compression, so data is lost, it's purely original sound. Does it mean that lossless files always sound better than the lossy ones? Regarding quality, yes, it does. It's not even fair to compare WAV to MP3 because, as it was mentioned before, WAV is an original sound, while MP3 is a vain attempt to have good quality as well as small size. However, this is true when you're using decent speakers. Otherwise, if you try to listen to WAV files with poor headphones - some tunes disappear, and sadly, WAV is going to sound as distorted as MP3. That is the main reason why people tend to claim there's no noticeable difference between WAV and MP3 and prefer the latter to the former; all in all, the size is smaller for lossy files. But they're very much mistaken. 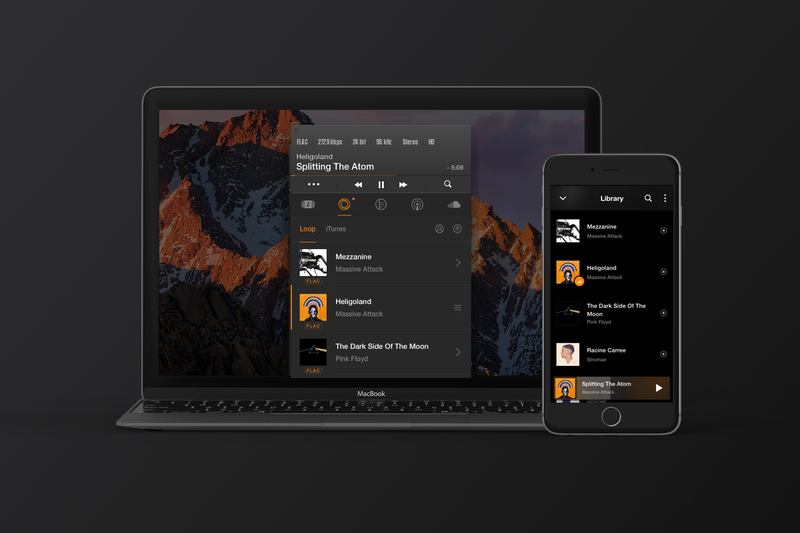 Apart from this, VOX features a great sound engine with a brand-new bass-enhancing technology for best music experience and access to 30,000+ radio stations from all over the world. So, if you're seeking the best iTunes alternative, try VOX Music for Mac & iPhone. It depends on two factor: whether quality matters to you and what device/player you use. For instance, if you prefer listening to music in the background because you hate silence it doesn't make any sense for you to buy WAV. Another case is if you're constantly running out of space, then you might want to consider lossy audio. However, there's a tool designed to solve this issue. It's called VOX Music Cloud Storage, and it's available to VOX Music Player users exclusively. It can store all your music regardless of the size and format. The best thing is the cloud is unlimited, meaning you can have as many tracks as you want. Music libraries on Mac and iPhone synchronize, so whatever you have in VOX Cloud is available on both devices. This eliminates the issue of lacking space on your devices. Start uploading music to VOX Cloud. Create VOX Premium account. When you convert a song from a lossless to a lossy format – say, WAV to MP3 – you're throwing away much of its data. MP3 is that small because it lacks the original audio that you cut out. If you convert a lossy MP3 back to a lossless WAV file, you won't get any of the data back. Instead, you will get a FLAC file much larger in size, but the quality will be of the MP3 file you converted from. Remember, you will never get the lost data back. It's like expecting a photocopy to be better than the original photo. It may look alike, but it's far from the primary source. What can be even worse, is when you convert a lossy format to another lossy format, like MP3 to AAC. If you do so, there's one thing that's going to happen - even more data will be gone for good. Again, a copy of a copy of a copy makes it worse and worse each single time till it's completely unacceptable. On the other hand, converting a lossless format to another lossless work just fine. For instance, when you rip an audio CD to WAV, you'll have with files of same good quality as the original CD. But if you then decide to convert FLAC to MP3 your music will degrade in both size and quality. Let's stop killing the sound and choose Hi-Res music. It's time for people to acknowledge the existence of the sound difference between various music formats and prefer lossless ones.